Your tax-deductible contributions assist the families of Massachusetts families who have lost their loved one during service to our country. MMHF is the only organization in Massachusetts to provide comprehensive support in the form of emergency financial assistance for funeral costs or other financial hardships related to the death of their loved one, financial counseling, referrals, advocacy, peer support and a host of other necessary services exclusively for our post 9/11/2001 grieving military families. Please consider supporting our important work; we offer a variety of ways to support Massachusetts Military Heroes Fund. Your tax-deductible donations ensure the families of the fallen have the support they need. From emergency financial assistance to counseling, advocacy and peer support, MMHF is the only organization in MA providing this comprehensive support. 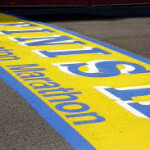 Support our 2019 Boston Marathon runners! 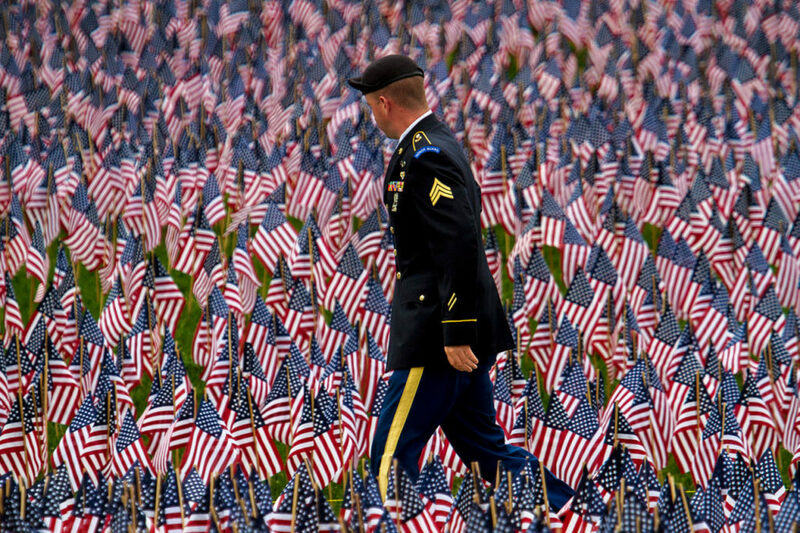 Each one of the 37,000 American flags planted annually at the foot of the Soldiers and Sailors Monument in Boston Common for Memorial Day represents a brave Massachusetts service member who gave his or her life defending our country since the Revolutionary War. Please sponsor one or more of the flags in honor of our fallen service members and their families. The special “United We Stand” license plates offered via the Registry of Motor Vehicles were established in 2003 to commemorate the lives lost on September 11, 2001. In their years on the road, these license plates have raised critical dollars to support the families of 9/11 victims, bereaved families of our local fallen military heroes and first responders. Proceeds benefit the Massachusetts Military Heroes Fund and the Massachusetts 9/11 Fund, as well as local police and fire departments. Your purchase helps us to provide critical services to those who put their lives on the line for our country and their families. Additionally, the “United We Stand” message conveys a sense of unity that is needed now more than ever. If you believe in our cause, we ask you to visit your local RMV or click here to order your new plate. Contact us to donate items for the 1,000 care packages we make during our September 11 National Day of Service Care Package Project. 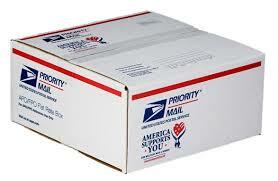 These care packages go to our local homeless veterans as well as veterans deployed overseas. Corporate sponsors are essential partners in providing tangible support to our military families. Through the generosity of businesses ranging from local enterprises to some of the world’s largest corporations, MMHF is able to ensure that our fallen heroes’ service and the families sacrifice is never forgotten and that our families have somewhere to turn for help. Please contact us to discuss sponsorship opportunities. Amazon will donate 0.5% of the price of your eligible AmazonSmile purchases to Massachusetts Military Heroes Fund whenever you shop on Amazon Smile. Once logged into AmazonSmile, search for “Massachusetts Military Heroes Fund” .